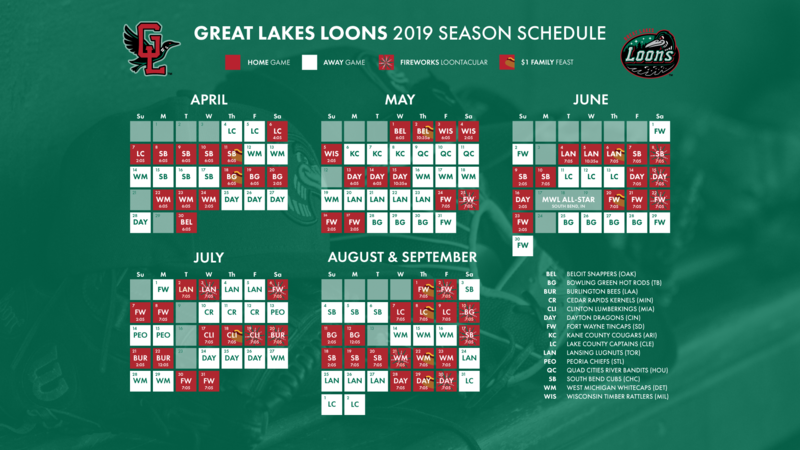 MIDLAND, Mich. - The Great Lakes Loons (66-69, 39-26) clinched their third postseason berth in the franchise's seven-year history on Thursday night, with a 3-0 win over the Dayton Dragons (35-31, 63-72) at Dow Diamond. Great Lakes scored the game-winning run in the second inning and tacked on two more in the sixth en route to their seventh win in eight games, securing a spot in the 2013 Midwest League playoffs. "It's a tremendous feeling because I know exactly how hard these guys work and how much work my coaches put in," Loons manager Razor Shines said. Everybody was instrumental and when you have starting pitching like that you're going to have some success. It's a round ball and sometimes it will hit the ground and go in a different direction. But tonight, we benefited from a couple of breaks that we created. I'm just elated and happy for our club." The Loons scored their first run of the game in the second. Walks before and after a Devin Shines single loaded the bases with nobody out to start the inning. With one out, Brandon Trinkwon hit into a fielder's choice that allowed Aaron Miller to score. Dodgers No. 7 prospect Chris Anderson started for the Loons and had one of his best outings of the season, giving up one hit in four scoreless innings for Great Lakes. Anderson struck out four and walked two. "I had all of my pitches working, which led to my success." Anderson said. "My breaking stuff was good early and that's key to have to keep the hitters off balance. I thought I had a good fastball when I wanted to and my goal was to keep the ball down and throw strikes. Our goal was to make the playoffs and ultimately make a run at the championship. Even though I came in mid-way through the season, it's been awesome coming into a team with this type of atmosphere." Great Lakes added two more runs in the sixth inning. The Loons again loaded the bases with nobody out and Devin Shines, who was 2-for-4 in the game, got an infield single to drive in Kevin Taylor for the first run of the frame. With one out and the bases still loaded, seven-hitter Brandon Dixon hit a 373-foot fly ball to left field that Dragons left fielder Daniel Pigott caught two feet in front of the wall, just missing a grand slam, but allowing Tyler Ogle to score the Loons third run of the game on a sacrifice fly. "Their starter today did a good job working in with some sinkers and two-seam (fastballs) and not letting us get extended," Shines said. "We just plugged away, got the bases loaded and drove some runs in; just did the little things to get the win." "It was a rocky start to the season, but we knew in the second half that we could put things together and make a run at the playoffs," Shines said. "That's what we did. We really buckled down and I know we lost five in a row at one point, but we turned it back around. We're just going to try and keep this momentum going." 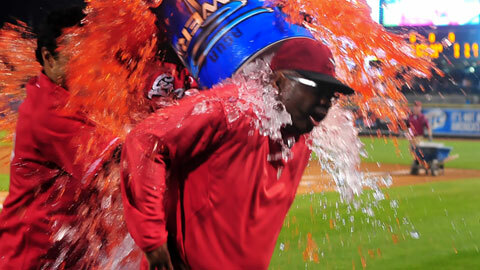 The Dragons started Sal Romano (7-11), the Cincinnati Reds No. 10 prospect, who threw five-plus innings and gave up three runs on five hits to take credit for the loss. Romano struck out one and walked three. Brandon Martinez (2-4) pitched 3 2/3 scoreless innings of relief for the Loons to pick up the win. Martinez gave up three hits, while striking out two and issuing no walks. "I pretty much had all of my stuff working," Martinez said. "I didn't throw a changeup tonight, but I mixed up my other pitches well. But it's toward the end of the season and we're fighting for a playoff spot, so it was time to turn up the intensity." It's a good feeling. It's nice to go further in the season, but our ultimate goal is to win it all and that's what we're going to work for. The Dragons' biggest threat came in the eighth inning, when a two-out single and an Ogle fielding error allowed Dayton to put runners on the corners. Shines called on lefty reliever Crayton Bare, who got Dragons three-hitter Jon Matthews a ground out to second base, ending the threat. Luis Meza pitched the ninth inning for the Loons to pick his fourth save of the season. Meza allowed a one-out single to five-hitter Daniel Pigott before inducing a double play that ended the game and pushed the Loons into the playoffs. "When Chris Anderson took the ball tonight, there was a look in his eyes; he was not going to be beat tonight," Shines said. "Then when he turned the ball over to Brandon Martinez, he had that same look. It's really good to see starting pitching and relief pitching on the same page like that." Depending on the final Midwest League standings, the Loons will play either the South Bend Silver Hawks or the Fort Wayne TinCaps in the first round of the playoffs. Great Lakes will host game one of the first round of the playoffs against either opponent on Wednesday, September 4 at Dow Diamond. Great Lakes will play their last home game of the regular season on Friday night, wrapping up a three-game series with Dayton. Dodgers No. 9 prospect Tom Windle (5-0, 2.77 ERA) is slated to start for the Loons. The Dragons are expected to start Ben Lively (0-0, 0.00), a 6-foot-4, 190 right-hander that is making his MWL debut. Lively was drafted by the Cincinnati Reds in the fourth round of the 2013 draft out of the University of Central Florida. The Loons Regular Season Finale will also feature an All-You-Can-Eat Picnic and a Postgame Fireworks Loontacular, powered by Dow Corning. Game time is 7:05 p.m.